This lovely chateau, purchased by Michel Baylet in 1980 (also owns Chateau Landereau since 1959) is located in Entre-Deux-Mers region, 20 km South East of Bordeaux, in the village of Sadirac. I had this wine several times and just recently opened a bottle of 2007 Chateau de L’Hoste Classique (the chateau makes another level wine, called Chateau de L’Hoste Blanc Entre-Deux-Mers, which is basically the same one, only selection of best vats). 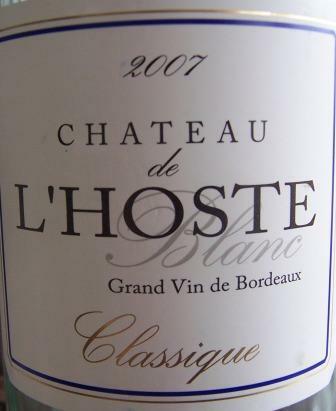 Chateau de L’Hoste Classique, coming from vineyards about 25 years old, is such a lovely alternative to super seafood wines like Sauvignon Blancs or Pinot Grigios. Grapes were manually picked and sorted. The final blend vary every vintage and the perfect balance of flavors makes this wine irresistible year after year. Beautiful golden color and aroma of citrus fruit. Almost creamy structure, yet crisp and very clean. 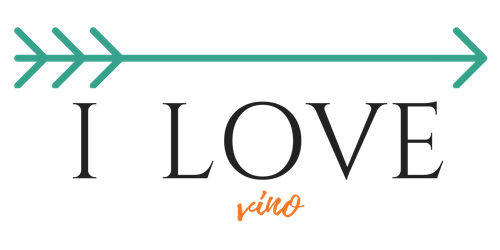 Each grape brought a different flavor to the blend and the winemaker perfectly balanced out the sweetness of Semillon and Muscadelle with sharp crispiness and acidity of Sauvignon Blanc. The result is just mellow, fruity wine that is lovely to sip on its own or pair with any seafood dish you can imagine.